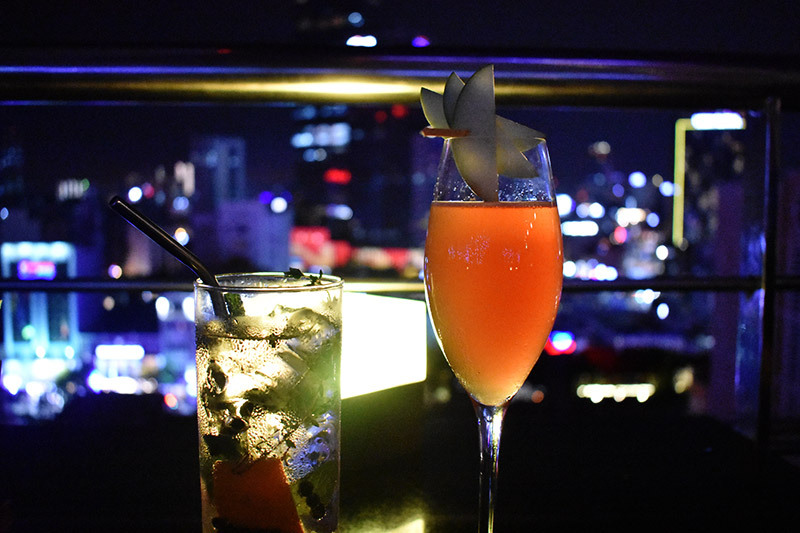 Add to mix; own crafted beer, cool drinks, nice atmosphere, live band and a “secret” 26th floor event space. 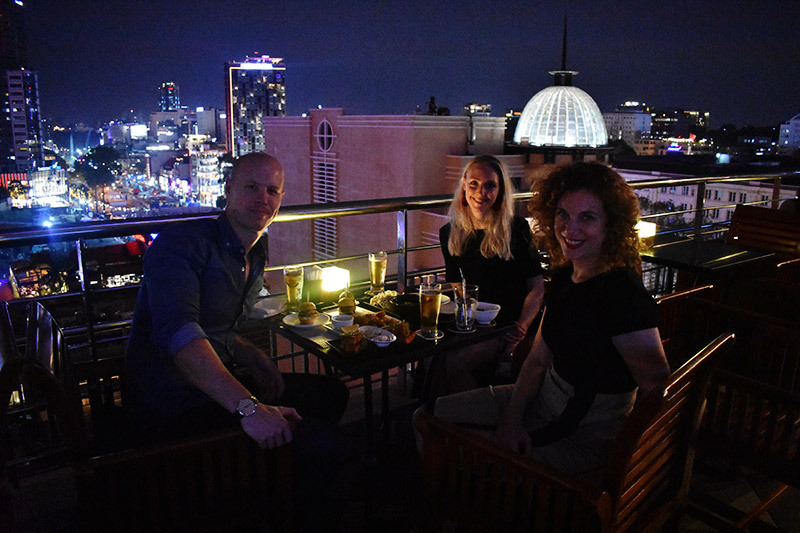 There is, as you can see, alot in the mix at the rooftop at Hotel Caravelle in Ho Chi Minh City. 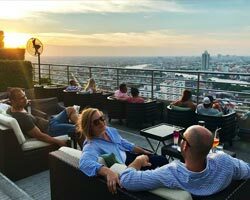 It is almost impossible to write about the Saigon Saigon Rooftop Bar and Hotel Caravelle without starting with the history. The hotel was built back in 1959 and had a rooftop bar (then called a terrace) from the get go. 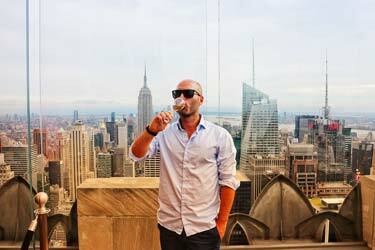 Which might actually make it one of the oldest rooftop bars in the world. It has been around for a while at least, that is for sure. And the history is important here, and I would say it is one of the main aspects that seperates this rooftop from others. Mostly because it is used and presented in a very nice way. 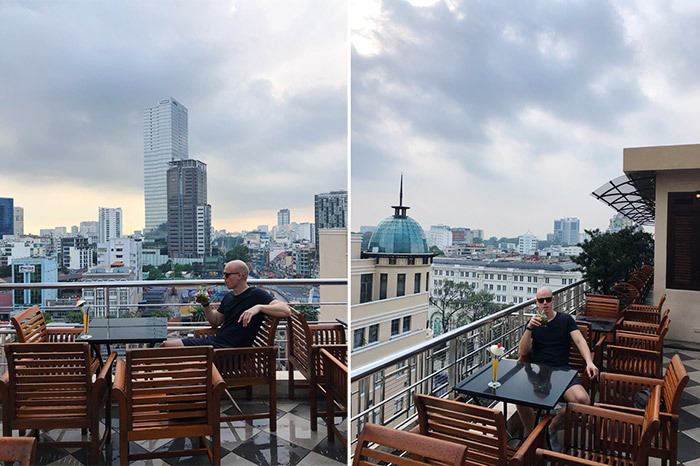 During the Vietnam War the Caravelle Hotel was the hotel where correspondents stayed and the Saigon Saigon rooftop was the place where they sat and discussed, had a drink, wrote, relaxed (whatever correspondents do) and watched the city they were reporting about. 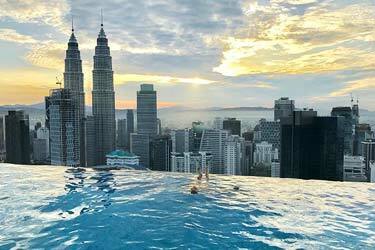 At that time, the 10th floor rooftop was as high as you could get and you really got some great views overlooking all of city. 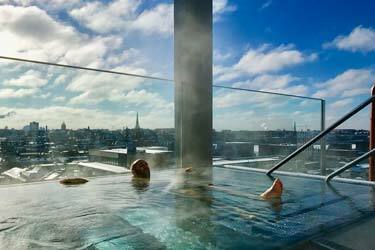 Nowadays it is not the highest rooftop at all, but there are still some great views to be seen. How do we know all this? 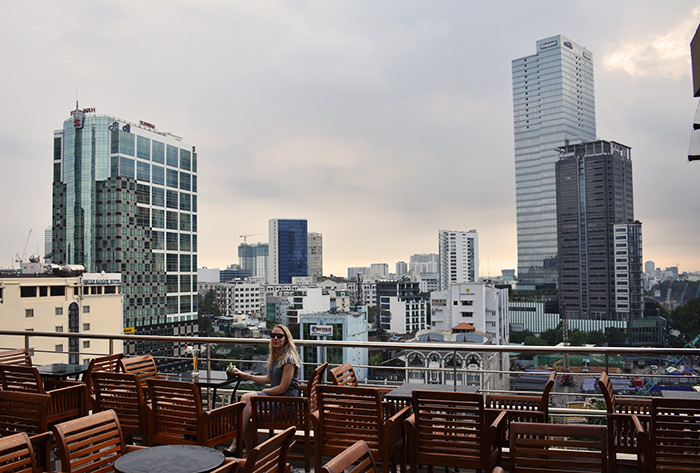 Well, during our one day stay at the hotel and the rooftop we got some great service from Yen (Marketing Communications Manager) and Alexandra (Director of Sales and Marketing) who showed us around and gave us the ins and outs of everything. 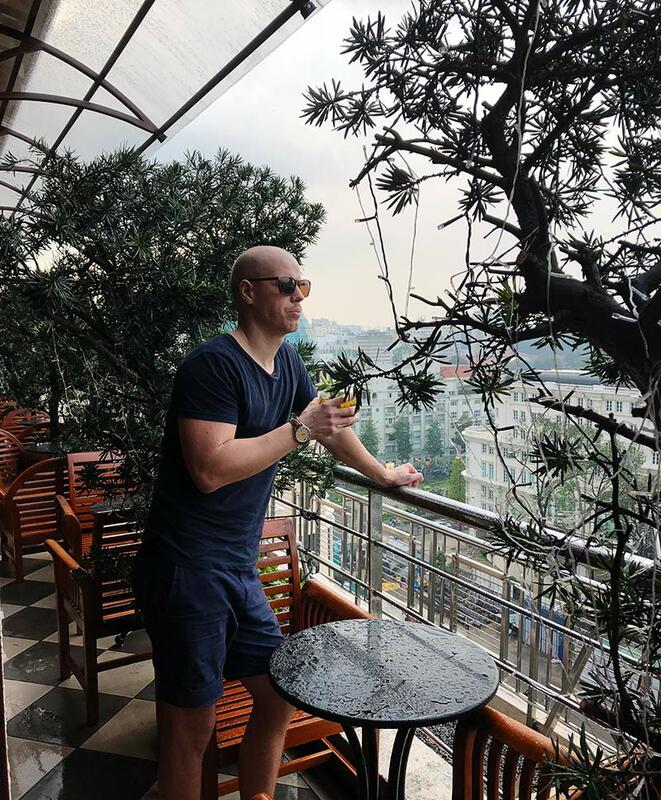 Mostly about the rooftop and the hotel, but also about Ho Chi Minh in general. We went up to the rooftop in the afternoon to catch some sunny pictures. Unfortunately the weather was not on our side, rain and more rain. Luckily enough Saigon Saigon Rooftop is a 'half and half rooftop', with the cool bar and a large seating area inside, combined with a large terrace outside. The terrace actually goes around the whole bar, but apart from the main space it is really narrow so it is more like every window has a little balcony. The feel of the place is quite rustic, with large wooden furniture and wooden panels at the windows. Made me think about Raffles Hotel in Singapore, another classic place filled with history. 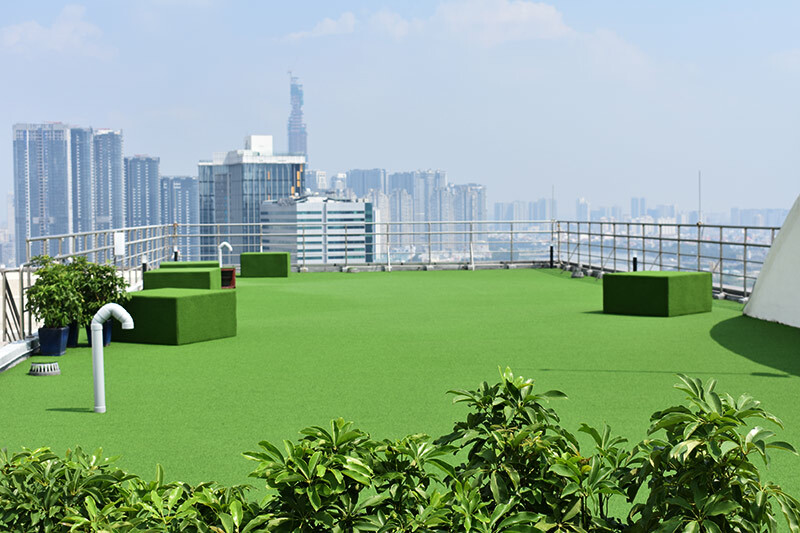 We sat down with Yen who told us about the rooftop, both the present and its history. Which is literally on the walls, pictures from older days, and on the way up the stairs to the bar there is even a timeline from the start in 1959 to present days. We also got to try a bit of what the bar has to offer. Quite a rich drink menu, thoughtfull and (of course) with references to the history. With help from Yen we went for Saigon Lady, a vodka drink with the look of a classic Vietnamese lady. 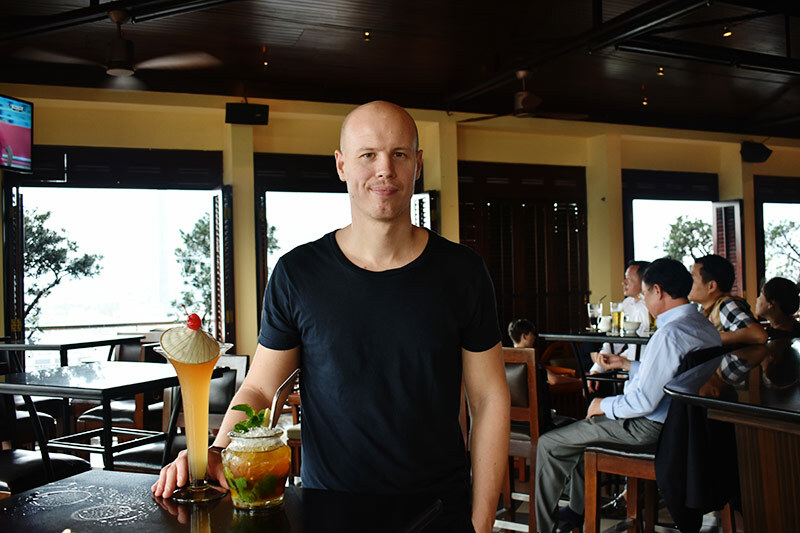 And the Nineteen Mojito, the nineteen coming from the address of the hotel. 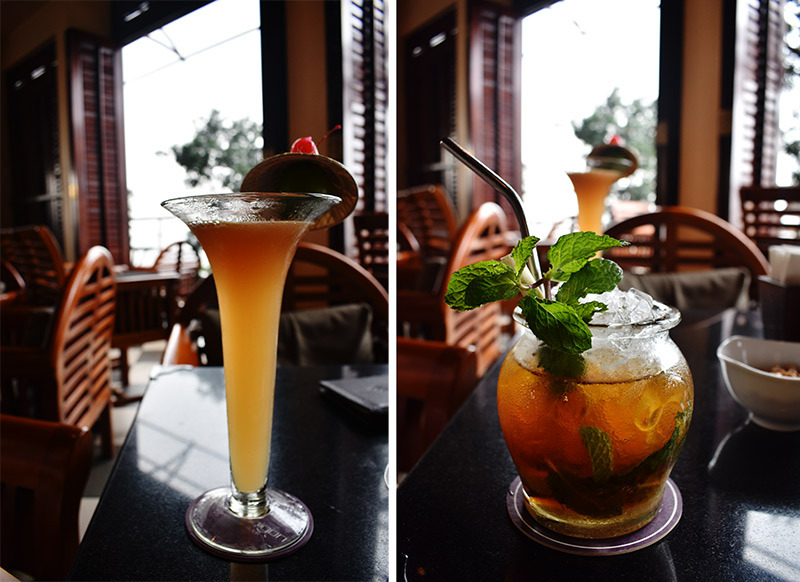 The drinks where nicely presented and with a great taste, and came in generous servings. 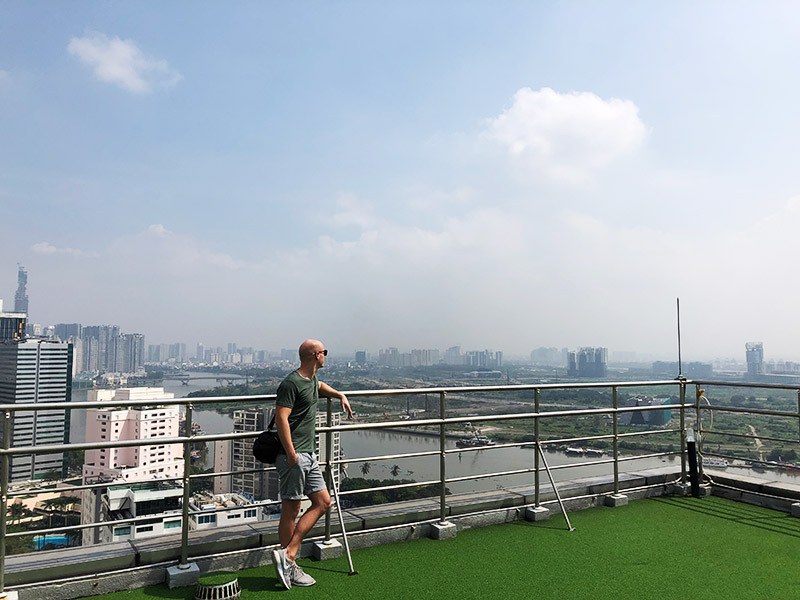 After a while we even got lucky enough with the weather, and after some mop up of the wet furniture we could go outside and have the terrace all to our self and enjoy the sun setting and the really nice skyline views. A couple of hours later it was time for some quality night adventures up at the rooftop. 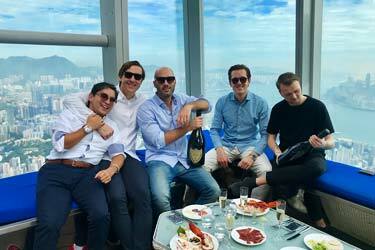 This time we got company of Alexandra, the Director of Sales " Marketing. The weather was now much better so she got us a great table out on the terrace. She told us a bit more about the bar and more specific about the food menu. But lets get back to that. 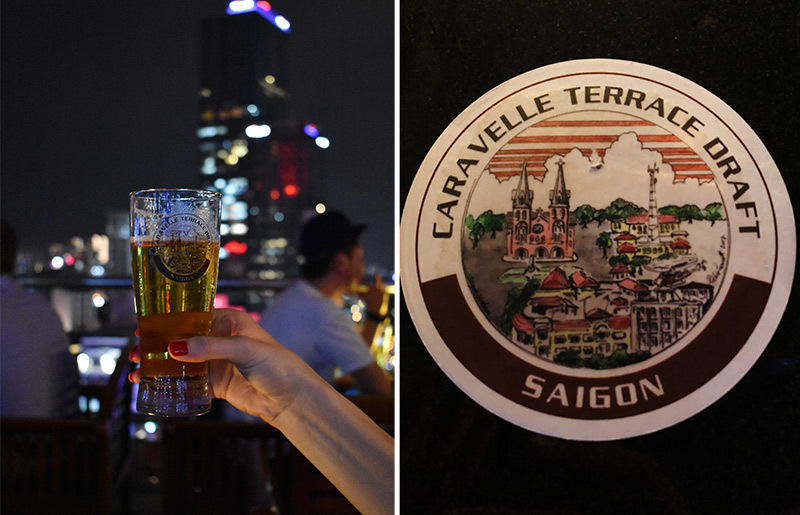 We started out with trying the rooftop bars own, brand new brew, called Caravelle Terrace Draft. It was a quite light and easy lager, supposedly tasting like back in the days, but at that time I was not drinking beer, and let alone not even born, so we will just have to take the experts word for it. But it is always a really nice touch having an own beer! So food, yes, food! 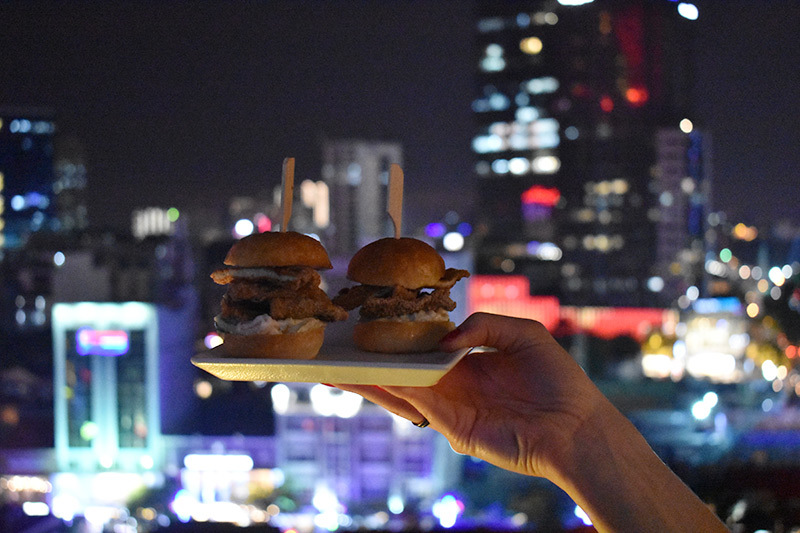 Saigon Saigon Rooftop Bar have a new food menu since spring last year, called there “Manifesto”. And in both names of the dishes and the look of the menu (even has a little history section), it is a clear nod to the bar’s history in general and as a journalists’ haven in perticular. 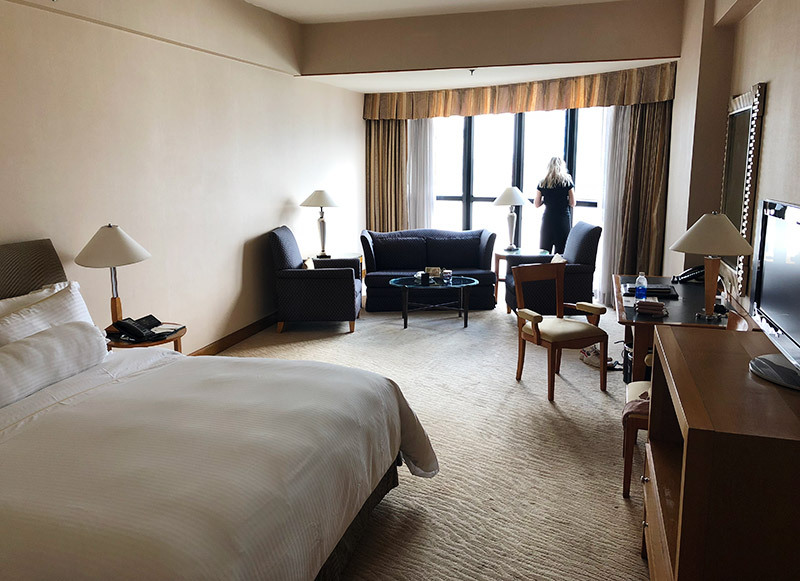 For example you can chose between dishes like News Corp Sharing Platter or the Room 514 Wagyu Beef Burger (room 514 where a bomb exploded during the war). Since we had the company of an expert in the menu in Alexandra, we let her do the choices for us. And she did do a great job! Most of the dishes can be ordered as kind of small, medium or large, so they are really perfect for sharing and sizeable to how many or how hungry you are. 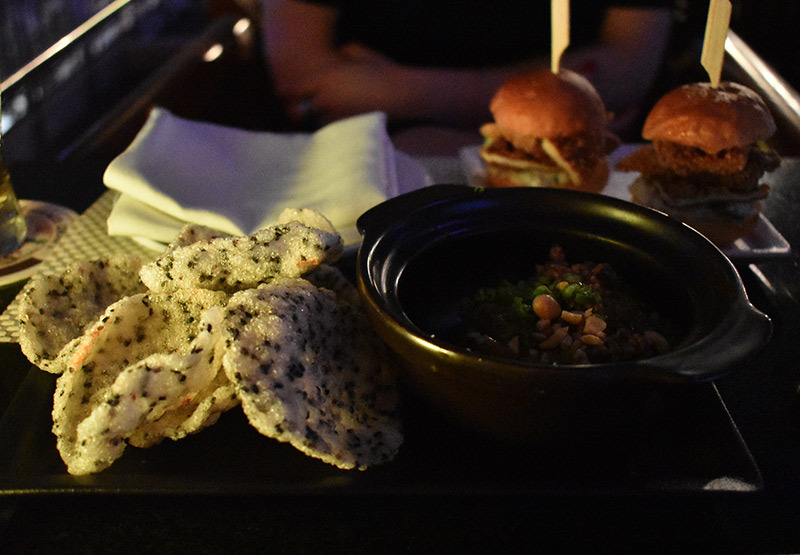 We had some Sliders, both lamb and chicken, BBQ pork ribs, Fried fish stickers and Grilled eggplant with minced beef and sesame rice crackers. 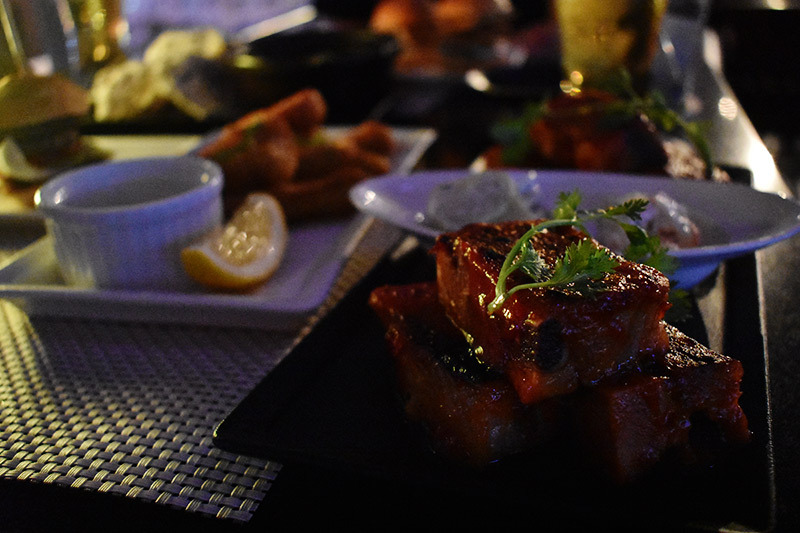 All dishes were acutally very good, but the last one (Grilled eggplant) was pure magnificue! We finished of dinner with some more drinks, Glamour (made on cognac and sparkling wine) and a Singapore GT with twist. 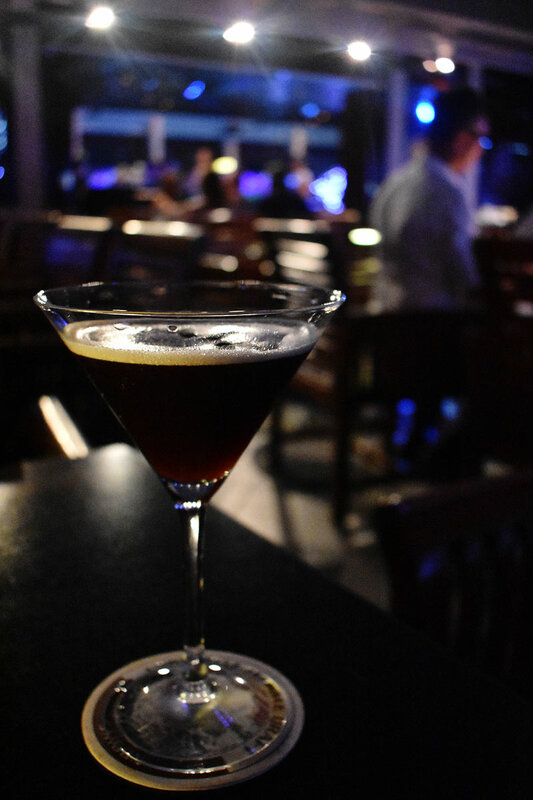 And two Espresso Martinis, just to fight the jet lag...And nothing to complain about regarding the drinks, very tasty and well made, clasic more than ground breaking. As time went by the terrace started to fill up a bit more, there is a really relaxed and nice atmosphere up here, perfect just to sit and chat and enjoy the view. And inside the band started to play, they have live music here six nights a week, adding even more atmosphere. And yeah, about that game that had been on TV earlier. The relaxing atmosphere was mixed up with alot of honking and shouting from the streets (even alot for being Ho Chi Minh, city of honking). 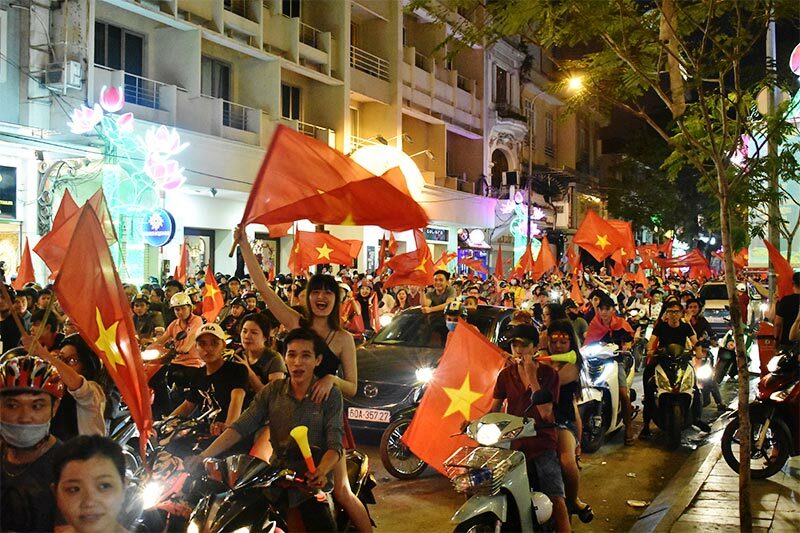 And we the found out that Vietnam had won their semi-final in the under 23 Asia Championship, and this was big. Huge! Traffic stood still, streets jammed with people and the Vietnamese flag everywhere. From the rooftop we could mostly hear it, had to go down and have a look afterwards, and it was party! We also got to have a look the hotels new event space up on the 26th floor. The Hotel Caravelle is divided in two wings, the old 10 floor one is the Herritage Wing from ´59, and the newer 26 floor one is the Opera Wing built in 1998. And recently they have started to take advantage of the great space up on the top floor of the Opera Wing. 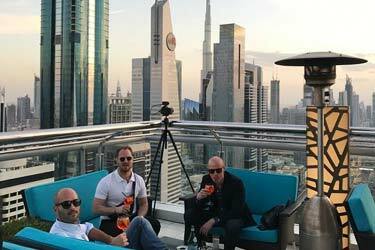 As of yet it is not a rooftop bar, but the space can be rented for events of all kinds, and it really promises for an event with a magical view. So, I think the history of the hotel has been quite well covered already, let’s instead focus more on ameneties and service. 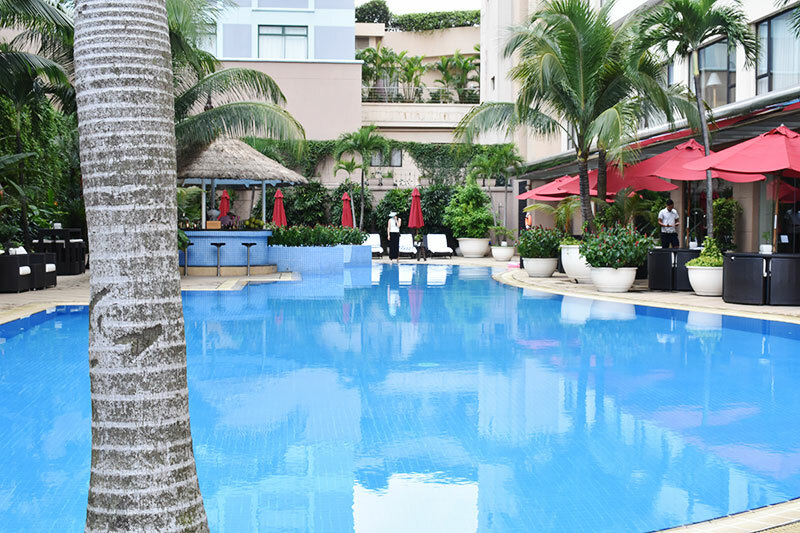 Hotel Caravelle is situated right in the center of Ho Chi Minh City and District 1, opposite the Opera House. So location is definitely spot on. And the service was lovely, everyone was really friendly and helpful. 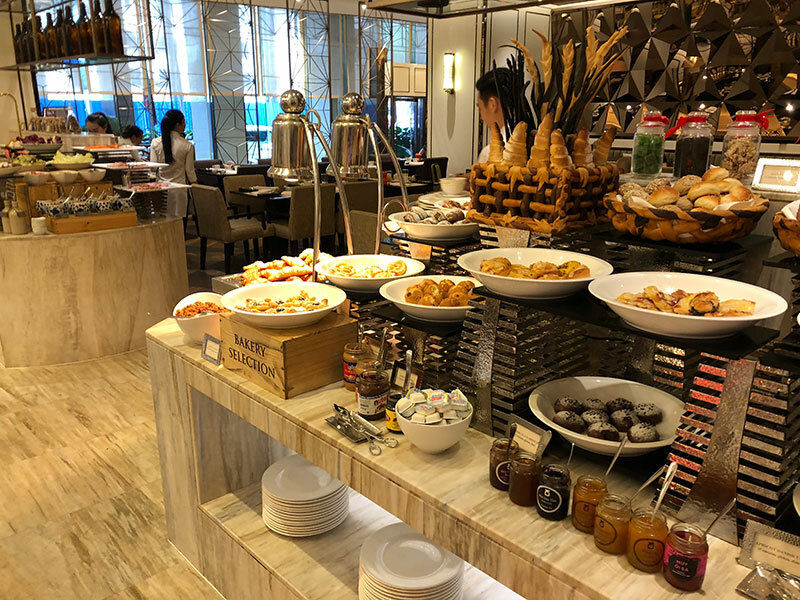 For instance, on our early morning arrival we were a bit hungry, and the concierge did not only tell us about a local pearl, she even walked us there. The room was large, maybe not top notch modern, but clean and fresh and with really comfortable bed and everything you need in room. The pool area is lovely, big pool, palm trees, bar in the middle, lots of sun loungers. Just wish it was up on the roof instead! 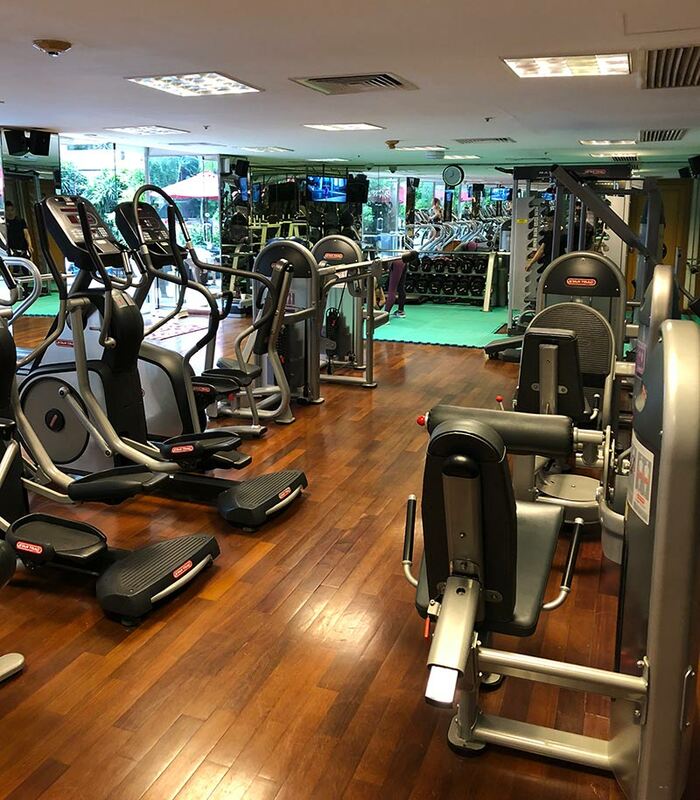 By the pool is also a well equipped gym (with free bananas). But maybe best of all is the breakfast, just delicious! Big and super fresh buffet with everything you can wish for. 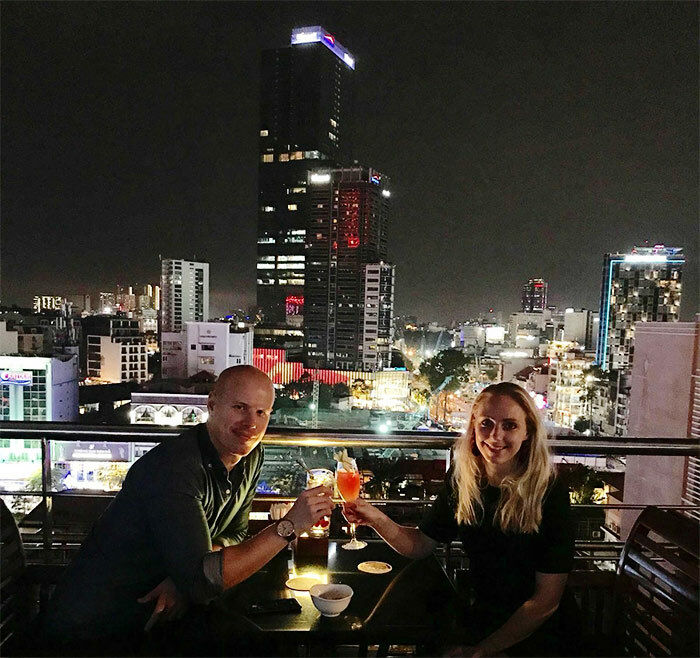 We really enjoyed our stay at Caravelle Saigon and the Saigon Saigon Rooftop Bar. It is definitely a classy place filled with history. Fresh and nice but you can still feel the history surrounding the place, and love that they keep it that way. Saigon Saigon Rooftop is no longer the cities highest rooftop, not by far, but I would still recommend a visit here for anyone in Ho Chi Minh City. 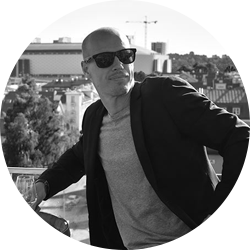 To enjoy some great food, nice views, relaxed and sophisticated atmosphere, and soak in history. I for one wanted to deep dive into documentaries about the Vietnam War after being here. Or an old movie about correspondents in war time. Thinking one with Robert Redford, not sure it actually exists though. Anyway, it's a good grade!